Have a suggestion for a question you’d like to see us add to our FAQ??? WHY IS AN ANNUAL (At least!) PHYSICAL EXAM SO IMPORTANT? Are you a Holistic veterinarian? The simple answer is, no. But it’s a bit more complicated than that. 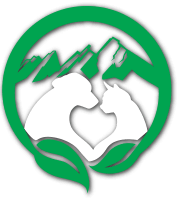 We consider ourselves an Integrative veterinary hospital. Our goal is to provide individualized care to each client and patient with a firm basis in the science of medicine, complimented with a variety of alternative options. Integrative Medicine is the combination of traditional “Western” medicine with “alternative” therapies such as acupuncture, nutritional supplementation, Traditional Chinese Medicine, massage therapy and more. Integrative therapies allow us to treat the “Whole” pet by offering a variety of more natural treatment options. Who are good candidates for Integrative therapies? All pets can benefit from some level of Integrative care. While many guardians seek therapies both traditional and integrative for their pets during times of illness many of the integrative therapies we have available can go a long way toward maintaining wellness and preventing disease. Yes! We have some short forms for New Clients and/or a New Cat or New Dog that you can fill out before your first appointment with us to save some time. Simply click HERE to get to them! What is included in all anesthetic procedures? We take all precautions for all anesthetic procedures to maintain the highest level of safety possible. For more on what is included in these procedures, click HERE. What is a surgery day like for my pet? Spending the day at the hospital can be a stressfull event in the life of your furry friends. We recognize that and do everything we can to make it as easy and stress-free as possible. To see what a surgery day looks like from your pet’s perspective, click HERE. Any tips for giving my cat a pill? Yes! We actually have a page on our website dedicated to “Cat Care Tips” with videos on topics like “Giving your cat a pill” and “How to make vet visits easier”. Click HERE to check it out! Do you provide Dental Health Care for dogs and cats? We’re so glad you asked! We DO offer a wide array of Dental Health Care options! From training in home dental care to advanced medical and surgical Dental Health Care we can do it all for your pet. In fact, Dr. Adams and Dr. Brockmann have Advanced Dental Health Care training and we’re so excited to use their skills to keep your pets healthy we have a Year-Round. Learn all about our Dental Care skills by clicking HERE! Do you do International Health Certificates for international travel?